If you have ever had a bad hair cut, it is easy to say, "Well, it will always grow out." But the waiting period can feel like forever. Or maybe you had thick and gorgeous hair when you were younger, but the years have not been kind to it, and it has thinned considerably. 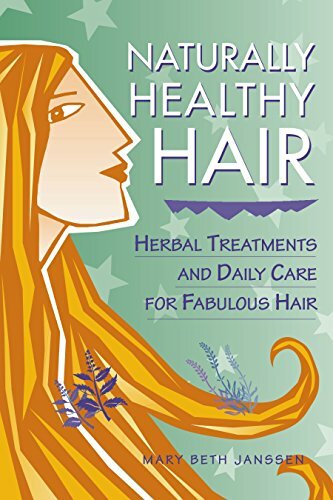 What if there are natural ways to encourage your hair to not only grow faster but also to be thicker and more lustrous? Read the following five useful tips. This sounds counter-intuitive, but it is really not. The key is that you do not need to get a drastic hair cut ever six to eight weeks, but instead you simply trim the dead ends away. Split ends are not only ugly, impeding with the look of your hair, but they cause breaks farther up, right on up to the roots where the actually growth happens. You only need to trim a little bit, so you might even be able to do this at home if you are equipped with the right scissors. Whether you choose to do it yourself or entrust the job to your favorite stylist, your hair will thank you by looking not only uniform but thicker as well. You should be doing this anyway, but just in case you needed a nudge, do this for your hair. Just as water hydrates your body, it hydrates your hair as well. Hydrated hair equals healthier hair. Dry hair breaks more easily which makes it uneven and impedes its ability to grow. So drink up! That is right. Before you scrunch up your nose in disgust, you do not have to walk around with it on your scalp all day. Once or twice a week, massage your scalp vigorously with some apple cider vinegar. This kind of vinegar works against the hormone DHT which can cause your hair follicles to shrink or die completely. Vinegar can actually help to dissolve the DHT that causes thinning hair and return your follicles to their natural, healthy state. Since you now know what to drink, what about what to eat? When reaching for a plate of fries, why not have a snack of protein-rich nuts instead? Or skip the bagel for breakfast, and opt for eggs. ‘Garbage in garbage out’, as the saying goes, and this has to do with your hair as well as your waistline. Healthy proteins will improve the look of your hair and it will encourage it to grow faster too. We have all heard about hot oil treatments, but what about coconut oil? This is such a wonderful, natural product, and there is a reason it is included in many hair care products. You can buy it at many grocery and natural food stores without any of the potentially harmful chemical additives you might find in styling products. Coconut oil is the absolute best natural conditioner, making your hair soft and shiny. Rub the coconut oil into your scalp, and comb it down the length of every strand, and when it penetrates your follicles, it stimulates hair growth. Best to leave in overnight and wash out the next morning, coconut oil is still effective, even if you do not have the time to leave it in that long. Now how hard is that? Trimming, being conscious of what you put in your body, and a simple treatment of vinegar and coconut oil done once or twice a week will help you grow your hair faster, and will make it thicker and lustrous, just like you have always wanted.